Looks around and bobs head. Also rears up and roars. 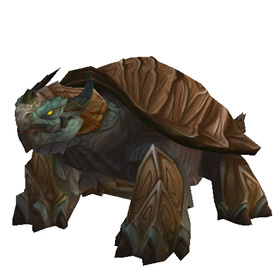 This wild pet can be found on Turtle Beach in Krasarang Wilds. It only spawns during the Wanderer's Festival. The festival is held only on Sunday night from 9 PM to 11 PM (Pacific Standard Time, GMT-8). During the festival, floating lanterns appear on the surface of the water and Pandaren NPCs wander onto the beach to set up bonfires and shoot off fireworks. Shortly after, the Wanderer's Festival Hatchlings appear. These did indeed spawn about 4 minutes after 11pm PST (and presumably 9pm PST, but I wasn't there). Fireworks went off at about 11:02, got the achievemnt at 11:03, and these spawned at about 11:04. I stood at /way 71 33 and sure enough one popped a few feet away. Was lucky enough to get it as there were 20+ people wandering around the beach waiting for them (even in late 2018). Got a rare, couldn't believe my luck - turned out to the be the worst of the 3 breeds. But who cares, one and done, can't beat that! Up after midnight, Sunday. Logged into Dalaran at Turtle Beach to take a look at the festival. Only one other and myself there. Fireworks erupt. Second captured hatchling was a Rare. Two more in sight as I logged off. Yipee Ki Yay. Does the Festival still happen and if so, when? I checked the in game calendar to see when this was but I could not find it. Thanks! Thank you, everyone who mentioned the map being wrong. Just got a H/H breed, grey rarity, which i instantly rare-ified! YAAAY!! So, yes, map is wrong. THe location is SW of the map point, just ot the east of "The Incursion". Look for the giant Ling Liu statue. Also, I am very glad I play on a PvE realm. I cannot imagine trying to do this on a PvP realm. Swarms of people. Good luck to everyone still looking for this guy!!! Be aware that the map location is WRONG. Please correct it. The real location is southwest from that, as other comments state. Just found this guy last night and I dont even care that he is a B/B, I'm just happy to have one :). A pretty good crowd was there and had plenty of ragers after only 3 spawned, so get there early! I followed a posts advice about there being a set spawn at 72,31 and sure enough one came up right at the edge of the tree's shade. They spawned more around 11:02 and seconds after you get ach, I really suggest using a Corgi or Turnip since you can still crit very high on them. There is a comment back in 2013 with good info with one error - 4/6/15 - stuck around for the closing festival (at 11PM Pacific) and had a few spawn. Was able to get the H/H I wanted. Thanks for all the other tips! Wowhead's location is still wrong to this day. Stick near the statue, they'll show. Those are around area 72,31 ish. Close to "The Incursion" on the map. A bit hard to get if you are on a high pop server. 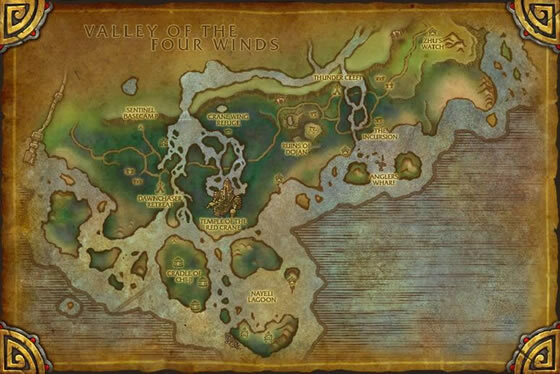 Note: if you have done the pvp quest (altest as horde, dunno about ally) you will find it harder to look for the hatchlings around area 80,25 couse the pvp area will be zooned. Stayed up till 2 am to get one, as soon as the event started I grabbed the first I saw which thankfully was an uncommon, soon as I captured it the server went down! Thankfully I got it. I stayed up until midnight to try to get one of these. I clicked on one that was poor and let it go. I should not have done that because I never saw another one! Play on Winterhoof; went to Festival before 11pm pst. Spoke with Festival Herald who stated it would begin upon the hour, which was 11pm. After all the party goers arrived the "Wanderer's Festival Hatchling" spawned, quite a few actually. I was lucky and got a blue on first try. It's important to remember this Festival only lasts about 24min. So it was over right as I got there. This is the turtle that packs the biggest punch. Pump will boost your Grasp and will allow for a huge hit when released. A slightly different heal than the other turtles. Cleansing Rain could be interesting when paired with other pets with aquatic attacks, and it also boosts Grasp, but then you will trade away your biggest hitter. This sees like the most useful turtle to me, but it is tougher to get and then you might get a crappy breed. 244 speed and power is really bad. You can find the festival around 72.30 where the huge statue is. Right next to the Incursion flight path. I am absolutely certain it is at 9pm pst. Tested it out on 2 seperate servers with different server times. Turtles spawned a couple of minutes past 9 pst. Huge bout of luck for me tonight, they spawned and the first one I went after was a rare. showed up at 9:15pm ST. no one else was there (server was Akama). there were five pets spawned. I checked all of them - one uncommon, one common, three poors. I captured the uncommon - lucked out and got an aquatic battle stone too! side note: the area marked on the map on this site is wrong (for me at least) the pin is farther north than it should be. The pets are located at the Incursion area. Big turtle statue, lots of turtles. Was a little confusing reading all the conflicting posts on Wowhead about exactly what time Sunday night the Festival takes place. As of January 2014, it happens on U.S. realms at 9pm Pacific Time. Got my hatchling last night a little after midnight server time. Were only a couple other pet collectors there so seems like competition is lightening up. the festival starts at 9:01 PST on all servers now. Also it takes a few minutes for the turtles to spawn, wondering what best breed to stone is? Legend has it that a seadragon turtle just like this one grew up to become Shen-zin Su, the Wandering Isle. Perhaps your little turtle will grow into something amazing?